The great thing about getting a custom caricature drawn is you can portray anything you want. 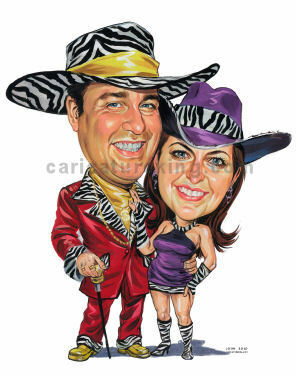 Just as well, because this gift caricature has the couple dressed in fancy dress as a pimp and pro. The work was completed by artist John and resulted in a wonderful image that was well received!